David attributes his achievements in financial planning and wealth management to three core themes: experience, effective communication, and attention to the details necessary to manage money in a quickly changing world. 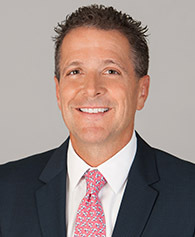 David has worked in the financial services industry since 1995 and concentrates on helping professionals and individuals with their retirement planning needs and goals. He is registered and holds Series 7, 63 and 65 securities licenses as well as licenses for life, accident and health insurance and variable annuities. David attended California State University Long Beach and enjoys spending valuable time with his wife and two children, when not paddling outrigger canoes.